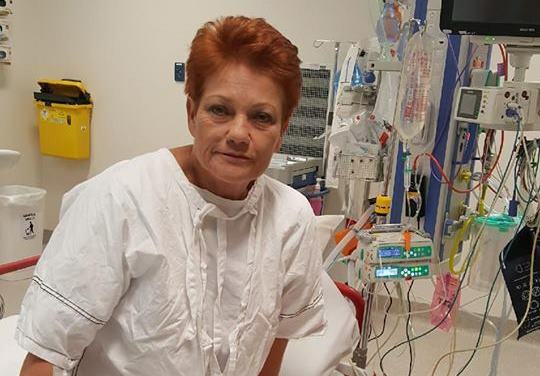 ONE Nation’s Pauline Hanson is vowing to be back on her feet soon after a shocking political week followed by emergency surgery to remove her appendix. The Queensland senator posted to Facebook that she spent the weekend feeling really crook and first thought she might have food poisoning. She had plenty of reasons to feel sick. An undercover Al Jazeera investigation had revealed last week that two of her most senior One Nation lieutenants asked America’s National Rifle Association for millions of dollars. Ms Hanson had to front cameras with a large tick bite on one cheek to stand by her errant men. She also came under fire when the Al Jazeera report appeared to show her suggesting the Port Arthur massacre was part of a government conspiracy. Then over the weekend came pain that wouldn’t go away. “I woke (Tuesday) morning to continued pains in my stomach and decided to see a GP,” she said on Facebook on Wednesday. “I needed further scans and blood tests and was taken immediately to the hospital,” she said. The culprit turned out to be her appendix and it was whipped out. “Compared to the pain I was in before the surgery, today’s pain is a lot less,” she said. Ms Hanson’s chief of staff James Ashby says voters can be assured the party leader will soon be fighting-fit again for campaigning. 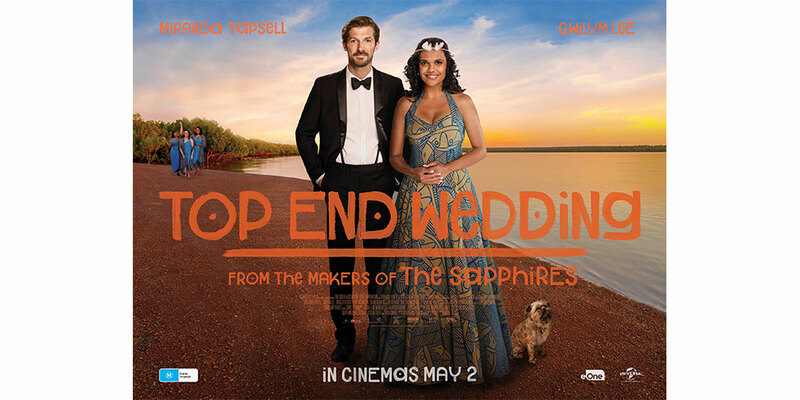 “This is just like a fine tune before the election is called, mate,” he told AAP. She’ll need lots of energy. Mr Ashby says they are also speaking to lawyers and federal police to explore their options after the Al Jazeera report.